We achieve excellent results by encouraging young people to become independent thinkers. Our students experience a broad, progressive curriculum and their GCSE results are testament to the success of this approach. The results over the last 5 years reflect extraordinarily high achievement in 24 different subjects, but we also salute student successes regionally and nationally in sport, music and drama. "I am proud of the excellent GCSE results our students achieve each year, and I am equally proud of their wider accomplishments - it is an absolute pleasure to witness individual talents flourish during their time at the Senior School, whether on the stage, on the sports field, in the arts or in music." For us, education is about more than results and our students leave us equipped with an exceptional breadth of skills – ready to take their next steps in life. Our vibrant 6th Form College continues our educational philosophy of small classes where every learner is known, teaching subjects an in inspiring way, and guiding students towards the future that is right for them. With such exceptional results behind them, our A Level students go on to study at top universities and pursue inspiring ambitions. 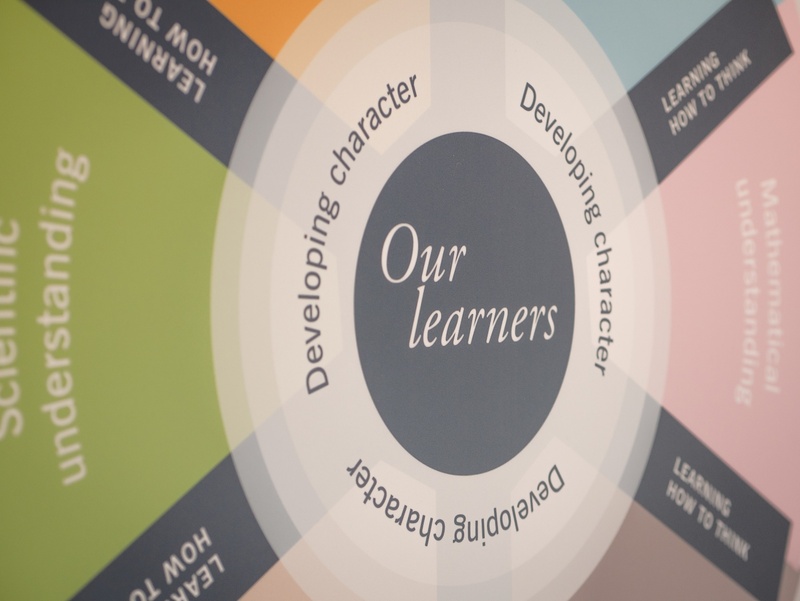 We offer a choice of over 20 A Level subjects, and our students also study Theory of Knowledge, which develops critical thinking and analysis. Our small classes and exceptional teachers ensure that every student receives the right balance of support, challenge and inspiration. “I feel very proud of each and every one of our students over the past 5 years who worked hard to receive these excellent results. At the Stephen Perse Foundation we support and encourage each student to achieve their dreams and it's rewarding for us to see that come to life year by year." Our International Baccalaureate (IB) students have achieved an average score of 40 in 4 out of the last 5 years, placing the Stephen Perse Foundation in the top group of IB schools both in the UK and worldwide. We have also seen 5 students in as many years achieve a perfect score of 45 marks! The IB Diploma is a broad and challenging course, and our students' remarkable results over the last 5 years are testament to their hard work and ability to think critically, creatively and independently. "We are immensely proud of our IB students, not only for their results and university destinations but for the rounded young leaders and pioneers they become - they each leave the 6th Form with their own story, ready to make their mark on the world as active and caring global citizens." Recognised by universities worldwide, the IB Diploma develops academic independence, giving a breadth of skills and knowledge fit for the 21st century. The IB Diploma is taken by about 150,000 students globally each year. Students study 6 subjects (3 Higher and 3 Standard Level) from across the subject areas. All students study a 'core' of extended essay, theory of knowledge and creativity, action & service. The IB Diploma is highly prized across the world as a gold standard for university entry. Candidates from the Stephen Perse Foundation have secured places across the full range of disciplines in the UK and several students have taken their IB qualification overseas to study in the USA, Canada and Europe.